Thomas Ronald Brady, son of Patrolman Thomas J. Brady and former Assemblywoman Mrs. Eileen Brady of East Orange, died today in Jersey City Medical Center after a long illness. The cause of his death was given as Hodgkin’s disease. He was 23. 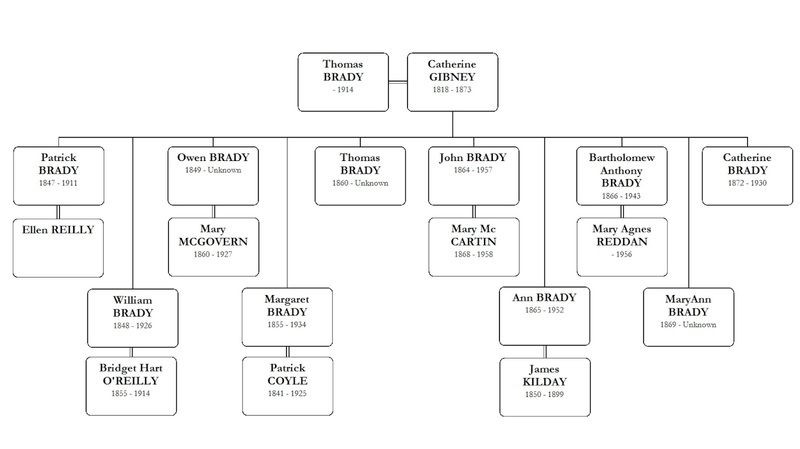 Mr. Brady, who lived with his parents at 501 Park avenue, was a flight sergeant with the Army Air Forces during the war. He was on one of the planes which dropped an atomic bomb on Nagasaki in August 1945. He was hospitalized for four months of the year he spent in Japan after the war. He was in and out of the medical center since last January, having last been admitted in April. Attended Upsala. Prior to his illness he played football for Upsala College, East Orange, which he attended after leaving services in October, 1846. He also played football at East Orange High School, graduating from there in 1944. He was a member of American Legion Post 73, East Orange. Besides his parents, he leaves two brothers, William, an East Orange High School student, and John Brady of Livingston. Thomas Brady, Air Force Vet. (1949, October 17). Newark Evening News, p. 28. New Jersey State Library, Trenton, NJ. Point Pleasant. Mary K. Hertz, 76, died Friday at the Claremont Care Center. Mrs. Hertz was born in East Orange. She lived there 17 years. She was a communicant of St. Peter’s Roman Catholic Church, Point Pleasant Beach. Her husband, Arthur, died in 1965. Surviving is a brother, William F. Brady, New Jersey. The Shore Memorial Funeral Home, Point Pleasant Beach, is in charge of arrangements. 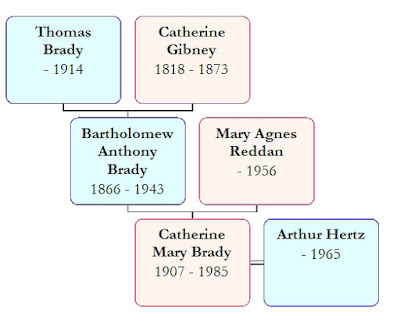 Note: Catherine Mary Brady later called herself Kathryn Mary Brady Hertz. When I began researching my Jewish roots I knew there was a lot I did not know. My Jewish grandfather died before I was born so I had no exposure the culture or religion. When Robert Friedman started doing the research for me traced my Gartner family back to Hungary I knew nothing about that country either. I sent off an email to Robert, asking him to recommend something I could read so I could learn what life was like for the Gartners. One of the books he suggested was Bridging Three Worlds. First the book gave me a short history of Hungary, where my great grandfather, Leopold Gartner and his family lived beginning about 1864. Then it painted a picture of the immigration process as it would have been about 1874 when Leopold came to New York City. The book taught me about Jewish settlements in Manhattan’s Lower East Side and the major occupations of those Hungarian-Jewish neighborhoods. Not having any family stories about this part of my family this book helped flesh out the details. I’m very glad to have this book. Bernard I. Brady, 87, a lifelong resident of East Orange died yesterday in the Morris Hills Multi Care Center, Morristown. A Mass will be offered at 9 a.m. Monday in St. John’s Church, Orange, following the funeral from the Codey Funeral Home, 69 High St., Orange. Mr. Brady owned the Brady Cab Co. in East Orange for 48 years before retiring 10 years ago. Bernard Brady. (1987, April 11). Star Ledger. New Jersey State Library, Trenton, NJ. My great Aunt Kathleen Coyle kept a small framed photo beside her bed. The black and white photograph shows her mother, Mary Josephine Mullane Coyle, on the roof of their building in New York City. I knew the photo because my maternal grandmother had copies of the photos taken the same day. There were more photos behind the main photo. They are black and white and not the clearest photos ever taken. a. Lillian & Marguerite Coyle were daughters of Mary Josephine. They are with their Uncle Daniel Mullane. It was taken when the sisters visited Ireland after their mother’s death in 1927.
a. Kathleen herself as a girl. a. Another one of the Coyle sisters. In all Kathleen had photos of her mother, her mother’s uncle & and three of her four sisters. I don’t know why they were hidden behind her mother’s photo. There was nothing secret about these people. It was a nice surprise to find them. I scanned the photos and put them back where they have been for many years. Point Pleasant – Bart A. Brady, 75, died Friday at Point Pleasant Hospital. Mr. Brady was born in East Orange and lived there before moving here seven years ago. Surviving are a brother, William F. and a sister, Mary K. Hertz, both here. The Van Hise & Callagan Funeral Home here, is in charge of arrangements. 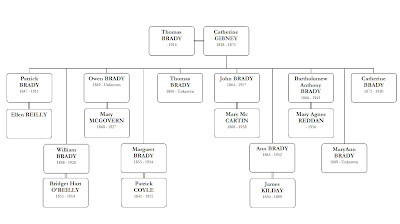 Bart A. Brady. (1984). Ashbury Park Press, p. A31; New Jersey State Library, Trenton. My granduncle was so beloved by my grandfather that Nathaniel Gardner named his only child after his brother. My mother, Alberta Joy Gardner Brown was named after her uncle Albert Gardner, who died a few years before she was born. However, her uncle was not born with that name. 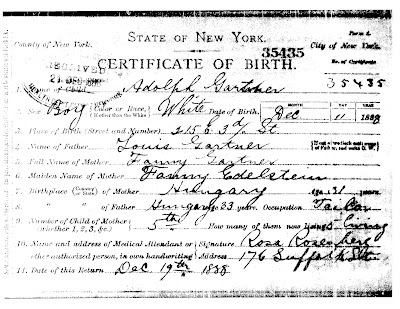 On 11 December 1888 Louis [Leopold] Gartner and Fanny Edelstein had a baby boy who they named Adolph Gartner. 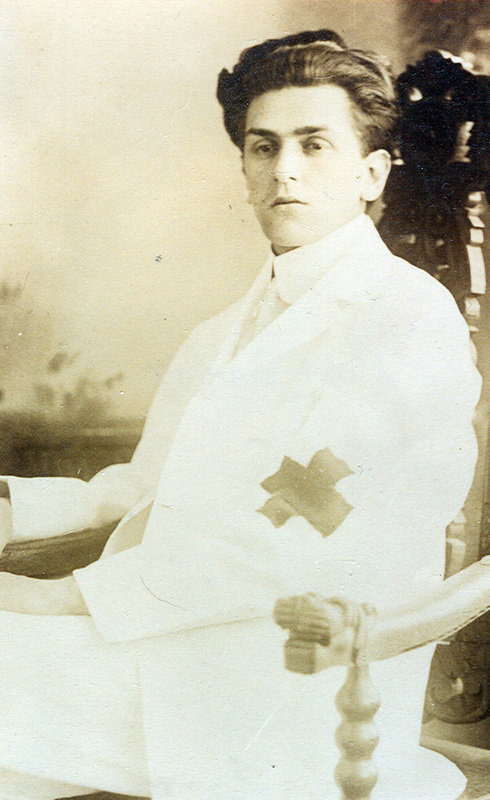 Fanny’s father was Adolph Edelstein so it is easy to assume the baby was named to honor him. This birth certificate was found for me by Robert Friedman from Steps to the Past LLC when he took a trip to the New York City Archives. I never would have found it on my own because every other reference to this name called him Albert. 1900 US Census. Albert Gartner was 11 years old and attending school. The Gartners were living at 445 East 83rd Street in Manhattan. 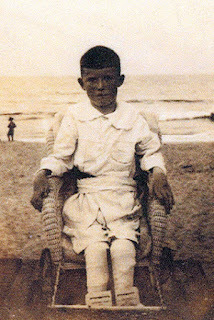 Albert was one of five children. 1905 NY State Census. Albert Gardner was 15 years old and attending school. The family was living on 87th Street in Manhattan. 1910 US Census. Albert was a salesman at a dry goods shop. He was 21 years old & single. He lived with the family at 58 West 118th Street. 1916 NY City Directory. Albert Gardner was living with the family at 234 West 120th Street and working as a nurse. World War I Draft Registration Card. Albert Gardner, 28 years old was a nurse. He was not able to serve because of an “operation on stomach”. Albert was not listed with the family in the 1920 census. He did not live to his 30th birthday. Fortunately, my grandfather had a picture of his brother that has stayed with our family. I recently discovered that some members of the Gardner family are buried in Washington Cemetery in Brooklyn. Fannie Edelstein Gardner, who died in 1908, was the first to be buried there. Ten years later Albert joined his mother. Family stories say he died of complications from Diabetes. Making a phone call to the cemetery taught me that he died 20 July 1918 and is listed as Albert Gardner. I hope to make a drive down to take a photograph of the Gardner tombstones. I think my mother would like me to take a visit, say a prayer and leave a stone on this tombstone. 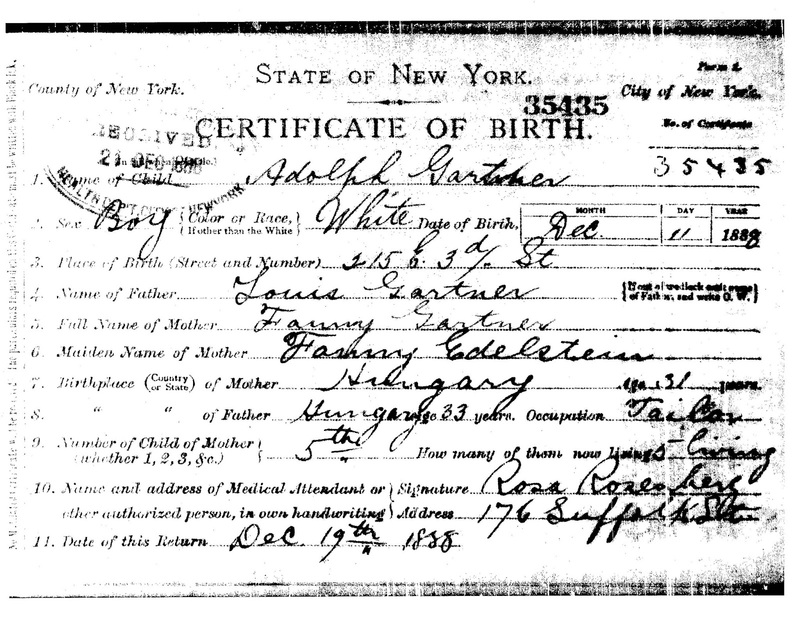 Birth Certificate for Adolph Gartner; 11 December 1888; Certificate #35435; The State of New York; New York City Archives. 1910 US Census, New York, Manhattan; SD 1, ED 491, Sheet 4B; Leopold Gardner family. 1916 New York City Directory, Reel 14, page 668; New York State Library, Albany, NY. Albert Gardner. World War I Draft Registration Card for Albert Gardner; 1917 – 1918; Ancestry.com. 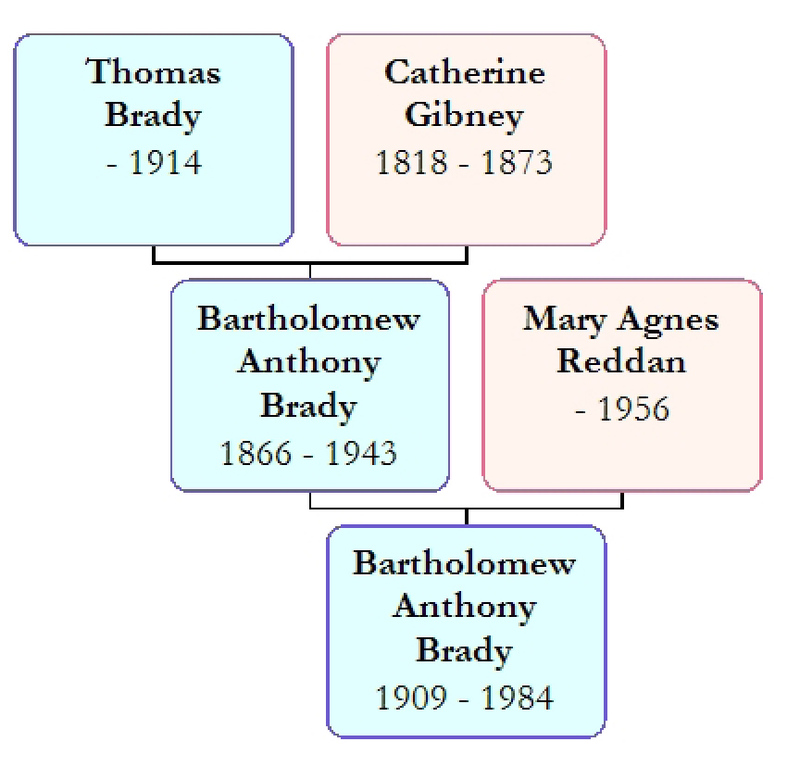 Catherine Gibney, my third great grandmother, has been the only Gibney in my records. 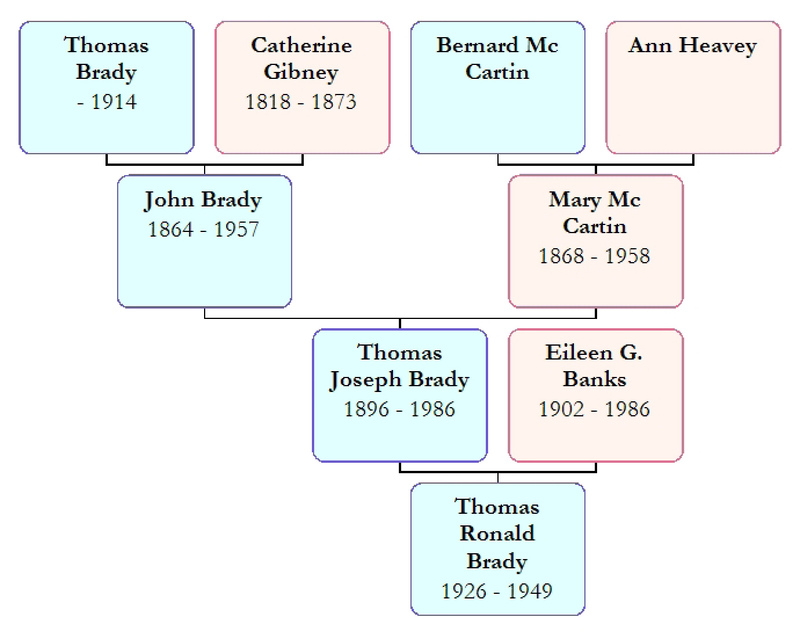 She lived her life in Ireland; the later part in County Cavan. I have researched her children and other descendants for a long time but have not been able to take a step backwards. 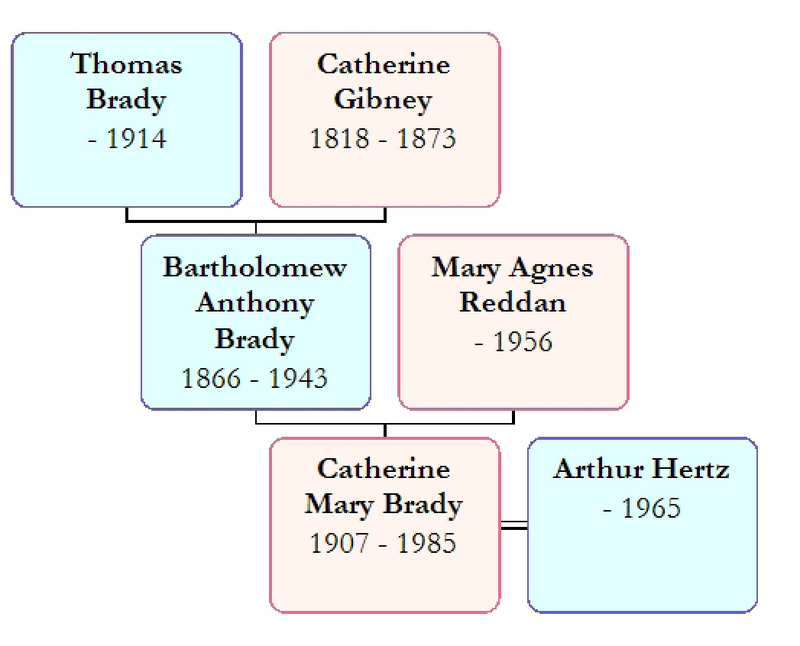 My third cousin, Patricia Brady, may have made a new discovery, the parents of Catherine Gibney. She looked at the 1821 Irish Census for Killykeen, County Cavan. We know our family was in that small townland. 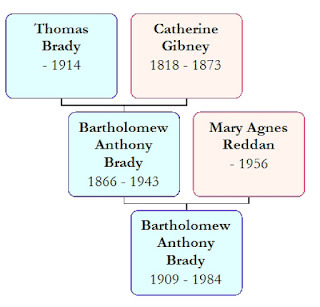 John & Elen Gibney had a two year old daughter, Catherine. Because it is such a small townland the likelihood is very high that this is our family. 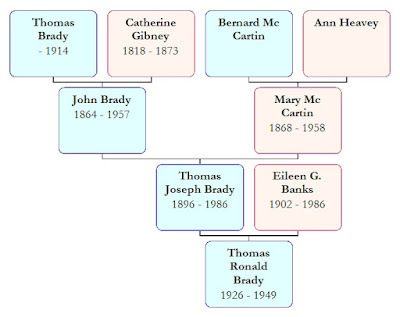 It is wonderful to have a genealogy loving Irish cousin who loves to spend hours searching researching!